Insighter® is committed to customers’ customers’in animal GUT Health by providing non-antibiotic antidiarrheal solutions whose results can be seen within 3-7 days. 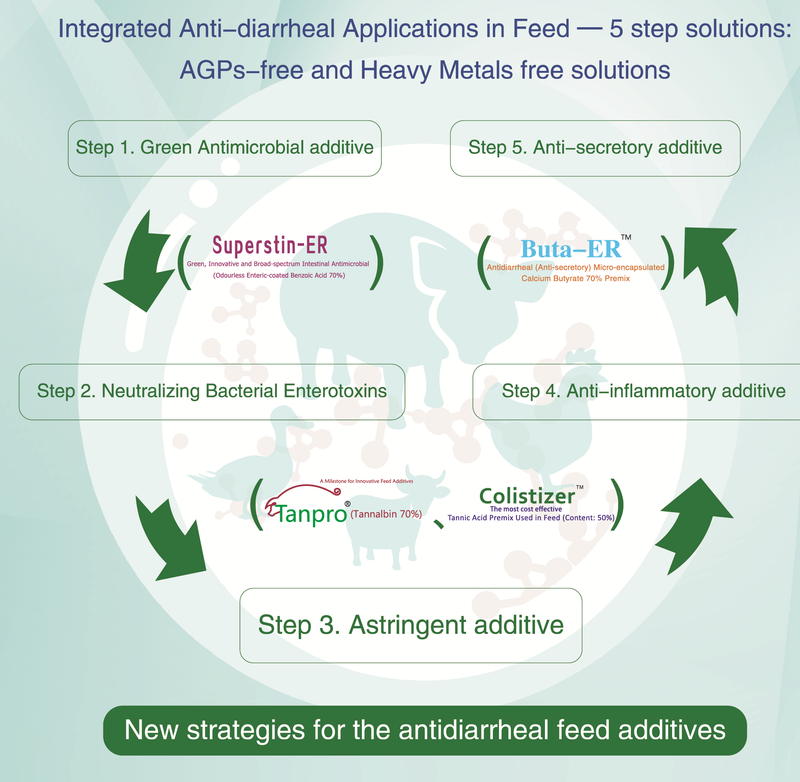 With our second-generation NGPs (Alternatives to AGPs), we are able to help feed mills and farms get rid of their headaches of diarrheal incidence legitimately, efficaciously and relatively cost-effectively. Any doubt? Please feel free to contact us to find out! Seeing is believing! FEED ADDITIVES WILL PREVAIL By 2050, global food demand will double, our environmental and carbon footprints will have to be reduced by at least 50%, and we face declining availability of land and water. At the same time, consumer expectations and related legal constraints are becoming stronger. In this context, the science of animal nutrition offers a positive outlook, today and for the future. The most important objective is to supply enough food that is safe and high quality. Success will depend, among other things, on increased usage of innovative, performance improving and quality enhancing ingredients. A sensory additive an additive that stimulates the appetite, improving the voluntary intake of a diet. Examples include feed flavors or sweeteners. A nutritional additive provides specific nutrients for an animal for optimal growth. Vitamins and aminoacids fall into this category. A zootechnical additive improves the nutritional value of a diet. It doesn’t give nutrients directly to the animal, but through its diet. This category includes, among others,enzymes and certain phytogenics. Environment. Some feed additives have the potential to reduce the amount of ammonia found in the manure of the animals or in the barn air. Ammonia is a major pollutant; it contributes to an acidification of soils, as well as to respiratory problems in animals and in humans living close to farming operations. Welfare By improving manure quality, litter moisture and barn climate, feed additives can contribute to animal well-being and reduce the occurrence of certain diseases.